FlexPulse™ believes in providing a rewarding customer experience. 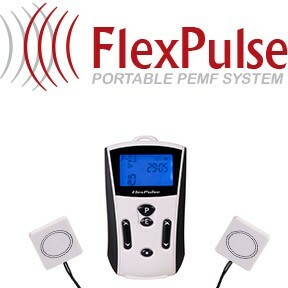 We offer the following rebates, rewards and discounts to all FlexPulse™ PEMF users who made a purchase on this website. Everyone needs a FlexPulse™, they just don’t know it yet. Once you have experienced our products and services, we’re sure you’ll want to help others discover us. We believe these offers will make it easy to help others and make PEMF therapy more accessible to your friends, family, clients or followers. For all orders placed on our website, you immediately receive a discount coupon. This coupon can be utilized by friends & family or yourself to obtain up to 15% discount on your next purchase. You can find it in the email sent after purchase, or in your “My account” area of this website. The coupon is valid for 365 days. All our direct customers receive 15% off on their future purchases. If you purchased the device from somewhere else, please contact us with your purchase receipt to receive the coupon. This offer can not be combined with any other offer. Partners and wholesalers are not eligible for this promotion, as they already get the same discount if buying one system at a time. We offer a 5% rebate on your first order for completing our feedback process after 30 days of using the system. The feedback process includes submitting our online feedback form and submitting a review on Google & Facebook. We will verify your submissions and send you the 5% rebate by reversing the charges to the same account and transaction used to place your order. This rebate is only applicable to direct customers (You must have purchased from this website). The rebate will incorporate the price of one PEMF device only, that excludes shipping and accessories. Please contact us to receive the link to submit Feedback if you didn’t receive it after your order. If you’re a wellness practitioner or publisher, we offer a great opportunity for helping us spread the word about FlexPulse PEMF therapy machines. Receive a 15% commission per sale using our advanced partner software that tracks your leads and offers extensive analytics and insight into the traffic you send us. It’s a 2-tier program with great potential for anyone connected to health and fitness industry. You must have one of our products to participate in the program. Please contact us if you are not a customer of this website, applications received without prior order history will be automatically rejected and an email with more information will be sent. We also have the best speakers and physicians for raising awareness about PEMF therapy’s benefits and can consider having them on your podcast or TV show if you’re interested to promote our technology to your audience. Wholesale inquiries are welcome too, please contact us to get started!